We deliver on-demand computing resources over the Internet. You can avail this to enhance your operational agility and realize business value at minimal cost. We see organizations moving the Cloud way. The cloud transformation helps organizations to reduce their investment on Storage devices and also to replace physical infrastructure like the servers. ANGLER being famed as full service provider, offers cloud computing services such as SaaS, PaaS and IaaS to help you gain competitive advantage. Running your solutions in the cloud can help you get your applications up and running faster while providing high level of security. Our Cloud Computing Services are aimed at helping organizations to achieve real benefits from cloud infrastructure, applications and platforms. By utilizing next generation cloud technologies, you can run your business operations, in a better way and much more effective manner. It’s customer centric features like flexibility, security, affordability, scalability, and convenience, have made it massively popular. By availing our suite of enterprise grade cloud services, you can get the possibility of storing, accessing and retrieving your applications & data from any web-enabled or mobile- enabled interface. Adopting the cloud computing services ensures reduce cost, superior performance and preserves mission critical application environments. You can avail our cloud IT infrastructure with the same confidence as that of one which you would have on any physical IT infrastructure at your end. We take complete responsibility of maintaining your IT infrastructure with our Structured and Certified Infrastructure Management Services team. Our eminent service will help you to adopt industries best practices manage the rapidly changing technology needs. Our expertise will enable you to securely move work to the cloud and get easy accessibility from a Web browser, wherever you happen to be. 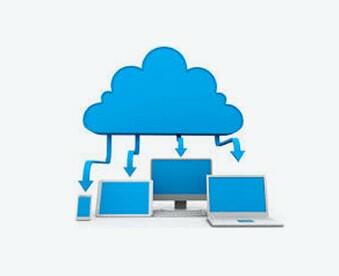 To take advantage of our cloud computing services contact us.